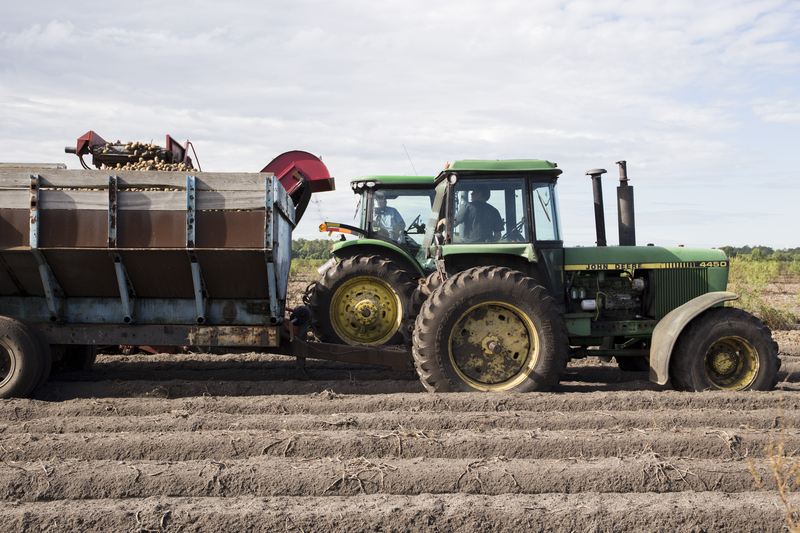 A tractor and trailer harvesting potatoes in Hastings, Florida. GAINESVILLE, Fla. — When the Flagler County 4-H members started growing their own potato plants at home, they were a little worried at first. “They would come to me and say, ‘I don’t see any potatoes on my plant. What’s wrong?’” said Amy Hedstrom, a Flagler County 4-H youth development agent with the University of Florida Institute of Food and Agricultural Sciences Extension. These youth are part of the Tri-County 4-H Potato Project created in 2015 by the UF/IFAS Extension 4-H programs in Flagler, Putnam and St. Johns counties. In addition to growing their own potatoes, youth also participate in planting and harvest field days at the UF/IFAS Hastings Agricultural Extension Center facility on Cowpen Branch Road. This year’s harvest field day will be held April 29 from 9 a.m. to 12 p.m. at 9500 Cowpen Branch Road, Hastings, FL 32145. About 100 people, including youth and their families, are expected to participate. The field day has a lot to offer youth interested in science, technology, engineering and math (STEM), who may not know about STEM-related careers in the agriculture industry. The harvest field day takes youth through several different educational stations where they will learn about different aspects of bringing potatoes to market, from the machines used to dig them up and to the potato’s nutritional value. At one station, youth will practice picking out abnormal potatoes as they come down a large conveyor belt, a process called grading. About 18,000 pounds of potatoes will be harvested during the field day, said Crystal McCazzio, 4-H agent with UF/IFAS Extension Putnam County. “In addition to science, the Tri-County project also exposes youth to entrepreneurship and community service,” McCazzio said. Each 4-H club will receive a portion of harvested potatoes, some of which they will donate to local food pantries and homeless shelters. Some clubs learn to market and sell their remaining potatoes to raise money for club activities. The 4-H Tri-County Potato Project is supported by UF, the Florida 4-H Foundation, and Flagler, Putnam and St. Johns counties. 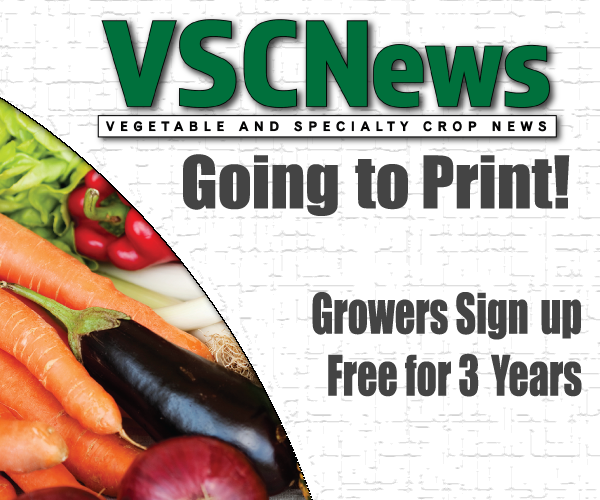 The organizers hope to eventually expand the project to include other crops grown in the Hastings area, such as cabbage and sweet potatoes.